We all know that saying “first impressions last” - and it applies to our homes too! That's why, it’s a great idea to give your home entrance a little refresh. Give your visitors a colour punch as they arrive with pots of flowering plants. Pots placed either side of the front door give a beautiful symmetry. Otherwise, bunch a few pots of differing sizes and heights together in a corner. 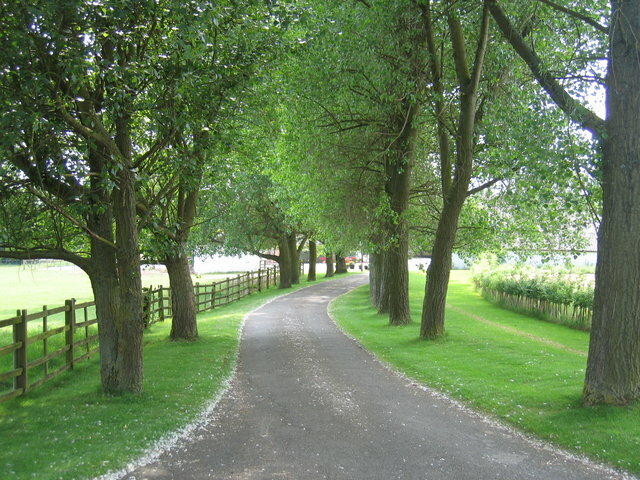 There is nothing quite like driving up a long tree lined driveway with beautiful trees planted either side. It's an easy way to turn a simple driveway into a grand entrance. Did you know...? Our digger with it's auger attachment can dig around 50 holes in two hours! Also, our 4t Tip Truck is perfect for delivering new plants and carting away the excess soil left behind by the holes. With age, timber will warp, crack and fade. If you have a creaking, cracked deck or timber staircase leading to your front door then maybe it's time to give it a little TLC. There are a lot of ways to repair these issues; from sanding and staining, re-nailing to replacing some or all the decking. As long as your foundation is sound it doesn't take too long to replace or repair the existing timber. We can help with delivering your materials, or drilling post holes with our digger and its auger attachment. 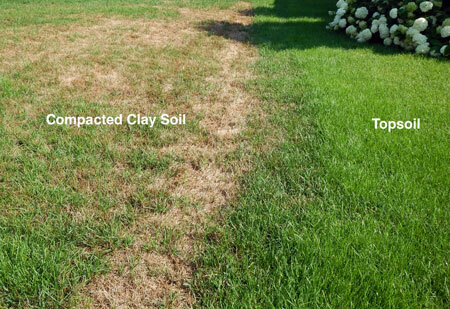 Topsoil helps to give your grass a refresh before summer as it retains moisture and provides nutrients for your grass and plants. You can also use it to level your lawn by placing it on the patches where your grass is uneven. Our 4t Tip Truck can deliver the topsoil to you, saving your time and your back! Gravel driveways are beautiful and also cost effective but they need to be maintained fairly regularly to fix pot holes and stop the gravel compacting into soil. Our Bobcat, with it's box rake attachment, churns and levels your gravel driveway, giving it an even, bump-free surface. If you need more gravel delivered, we can do that too! So simple but effective, giving your front door a new lick of paint can take your front facade from dull to dazzling! Go bold with bright yellow, “kelly green” or a shade of red otherwise black, grey or even pastel pink are all on-trend colour choices at the moment. For long driveways, especially in rural areas, it can be easy to miss the driveway entrance. So why not create a feature either side of your driveway by using recycled timber sleepers placed vertically as a sculptural element or create a boulder garden as an eye catching feature. Did you know...? Our digger can move boulders by hoisting them and shifting them into place. The auger attachment on our digger can drill posts for fences and vertical sleepers and of course our truck can deliver the materials! Want some quick and easy ways to add a bit of pizazz to your front door? Why not hang a bell, or find a cute patterned or typographic style doormat? 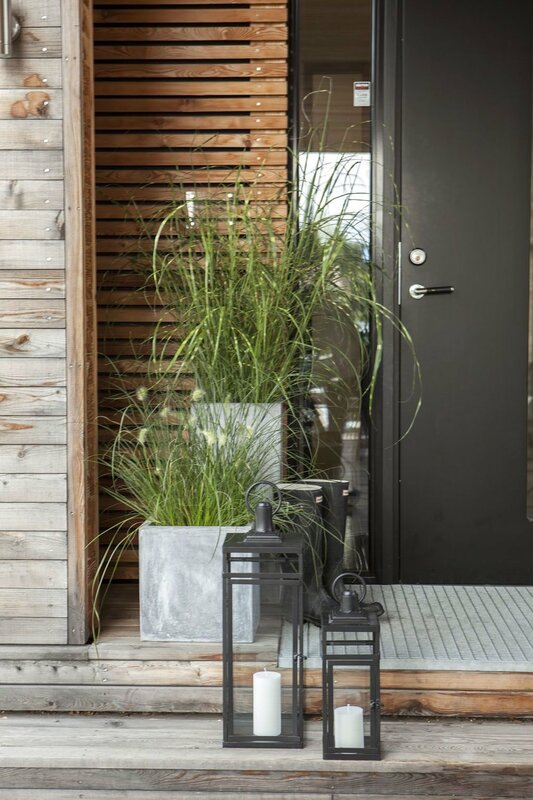 A sculptural wind chime or brightly coloured outdoor chair are also quick ways to add style and personality to your entrance. Make a Bund wall at the perimeter of your property. Bunding helps to block noise from passing traffic and gives privacy without having to construct a fence. 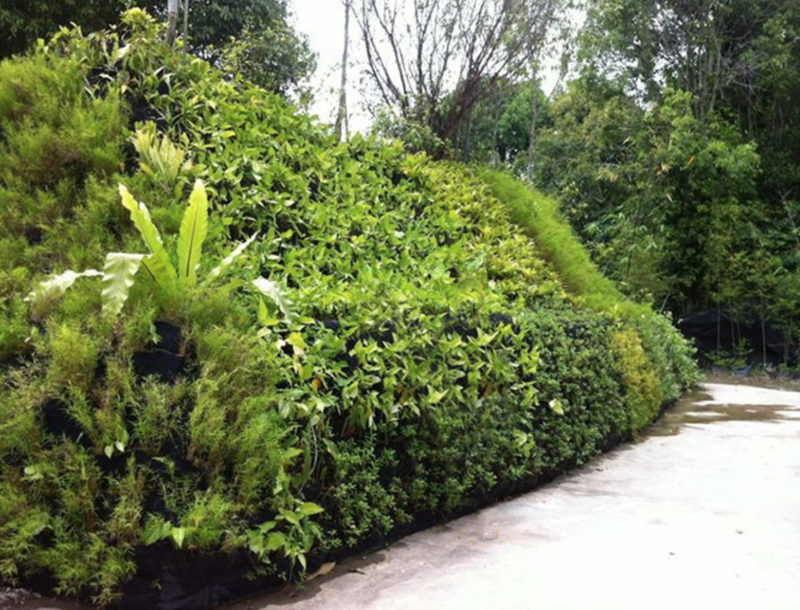 Bund walls can simply be grassed over or covered with mulch, otherwise you can plant them out with beautiful ground cover species to create an attractive garden feature. Both our digger and bobcat are ideal to help shift soil and create a bund. They can even scrap, shape or level existing areas in the garden and use the excess soil to create the bund. Build a water feature or pond with a pump for your front garden. The sound of running water brings a sense of tranquility and can also mask noise if you live in a built-up area. Our digger is very compact and able to access most areas to excavate for a pond lining. If you'd like to add Koi Fish to your pond then you will need quite a depth to the pond so give us a call and we can do the hard work for you. There you have it - 10 ideas you can use at your home! So, whether it's for your own enjoyment, a welcome entrance for visitors or improving street appeal and your property value; making small changes really create a big impact for your home. Give us a call if you would like a hand with your next project.